Wigan Warriors say they will not stand in Shaun Edwards' way should he renege on an agreement to become the Super League champions' head coach in 2020. 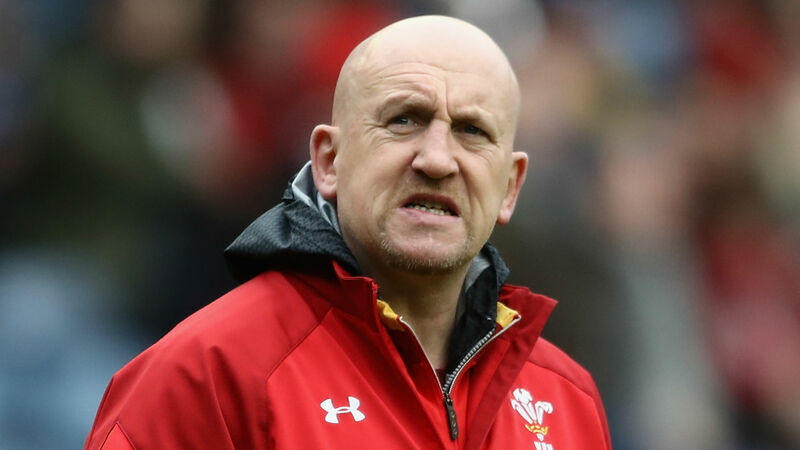 Edwards agreed to take over at the club last year, with his time as Wales' defence coach set to come to an end following the 2019 Rugby World Cup. However, the Wigan legend caused confusion after Wales wrapped up the Six Nations Grand Slam with victory over Ireland at the weekend, claiming his future was up in the air. Warriors chairman Ian Lenagan has confirmed that no contract was signed at the time of Edwards' announcement and that the move to Wigan was "cemented by a handshake". Wigan now say they will accept whatever decision Edwards - linked with a return to Wasps - comes to. "Wigan Warriors Rugby League Club's position is that it has an oral agreement with Shaun Edwards to become head coach from 2020, cemented by a handshake and announced publicly in a press conference by both parties in August 2018," said Lenagan. "I take full responsibility for including the mention of a signed contract in Wigan's press release at the time of Shaun's appointment. I have done business on many occasions on the basis of an oral agreement over a handshake. "Shaun and I have known each other for a long time, have great respect for each other and share a passion for all things Wigan – of course the main focus for that being Wigan Warriors and its supporters. "Rather than debating the merits and legalities of an oral or written agreement, I have had constructive dialogue with Shaun this week to make it clear that, despite our desire for him to take up the Wigan Warriors head coach role as agreed, we would not attempt to hold Shaun to any agreement - disputed or otherwise - if he now preferred to take up a different option. "During our conversations, Shaun asked for more time to consider his options. I agreed to his request and fully understand his reasons for doing so. "It is obvious we need to clear up this situation as quickly as possible in a dignified manner for the best interests of Wigan Warriors and Shaun. "It is proving to be a difficult and emotive situation for us all to navigate, but I am determined to provide our loyal fans with the clarity they deserve once Shaun has come to his decision. We will support whatever decision he reaches."